If you feel low in energy which renders you incapable of getting into the mood to work, your office space might be guilty of that. A room dedicated for work should encourage concentration and no, you would not have to go splurging on other furniture in order to achieve more productive hours. 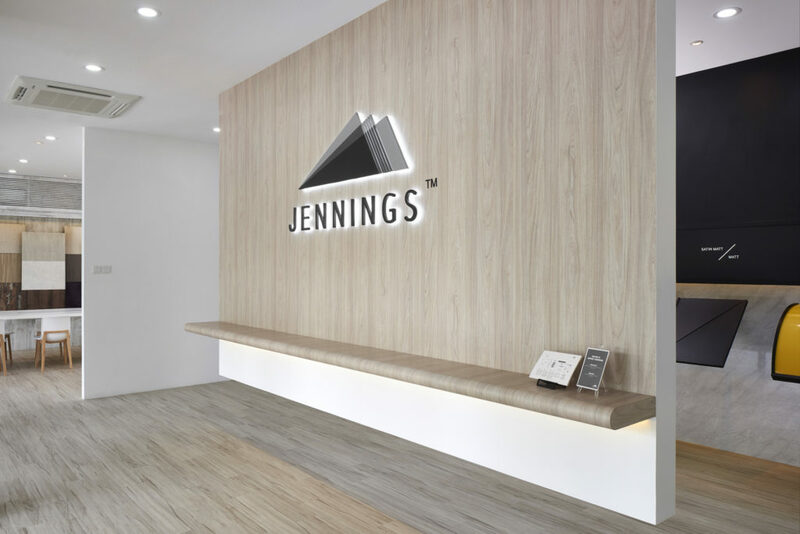 With Jennings, experience a change of energy when you decide to use our laminate sheets. To get your creative juices flowing, here are some ideas you can take inspiration from for your interior. Especially in the office, it can be heartwarming when it resembles anything like home. 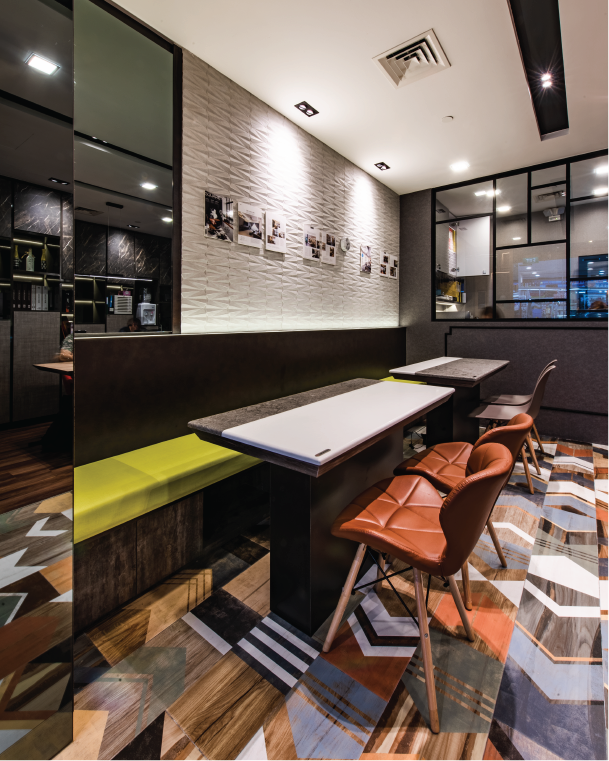 To achieve a homely ambiance, our wood laminates are especially appealing as they will easily add a customised feel to your office. For a beautiful homespun charm, Gris Fossile Glamour Walnut (PJ2253WY) laminates are applied on the top cabinets. Together with these medium-toned crown wood laminates, Mastic Micronesian Oak (PJ2272WY) laminates then takes the unrefined texture to another level. Adding these plank wood laminates gave more room to venturing into the authentic beauty of wood grain materials, so this was definitely a good decision made. Jennings approved! For a refreshing white colour scheme, Antique White (ASG2100HG) laminates will be incredibly versatile, acting as an excellent blank canvas for any types of decoration all year round. And if you still feel that the space is lacking a finishing touch, Sap Maple(WP8890SM) laminates adds a cosy touch, working well with the surrounding white. Overall, this is a simple yet clean design that can enhance your concentration at work. Implementing bold neon shades sure can be worth a try, but when the rest of the space is not taken into consideration, the overall appearance would look distasteful. The last thing you want is for your study space to look awfully unnatural. Thankfully, when neon is used in doses, they can be mixed with different styles, from rustic to modern, minimalistic styles. Throw in some earthy, neutral bases which will tone down the rest of the room when incorporating these shockingly vibrant colours. Here, (JV8909MT) laminates are used at the bottom of the seating area to keep the space grounded. For a working area, this combination is bright and energising, yet just right for the mind to stay attentive. 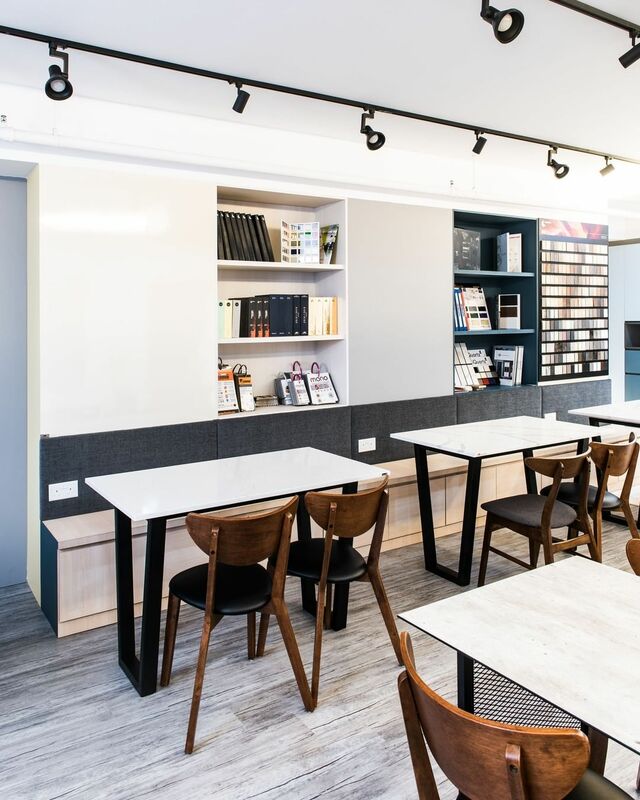 If a dark workroom makes you feel sleepy, causing you to strain your eyes to focus on your tasks most of the time, apply laminates of a lighter shade for a fresh look. There are a few grey tones you can select from and Metalized Brushed (PL2047T) laminates are one of them. Rather than looking bleached-out, they look dreamy for a soothing theme. To look more put together, they are paired with (WPL5050T) laminates for good contrast, complementing the existing grey flooring. Your inner workaholic will definitely not be able to resist starting up your laptop to get some work done in this space. Ultimately, what you need is a relaxed yet conducive atmosphere. 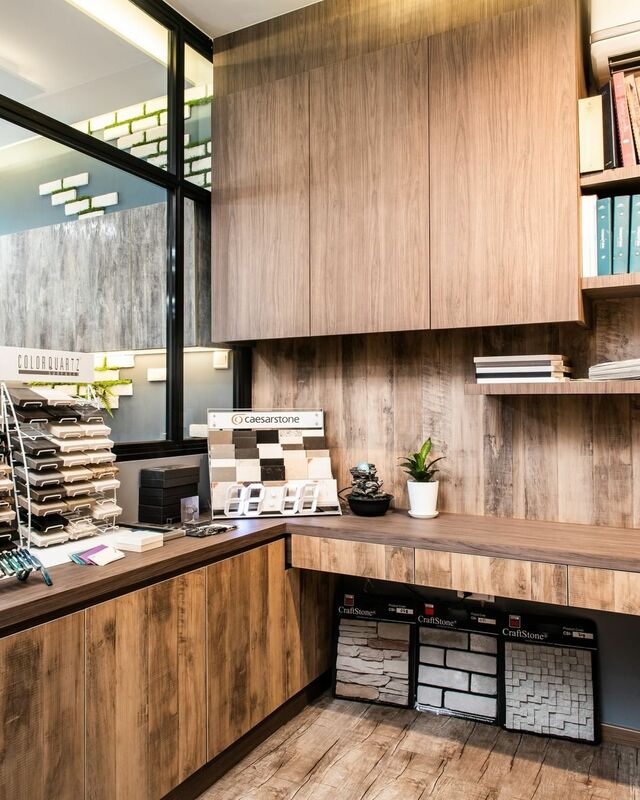 The look of your work space will undoubtedly influence how efficient and productive you and your colleagues will be. 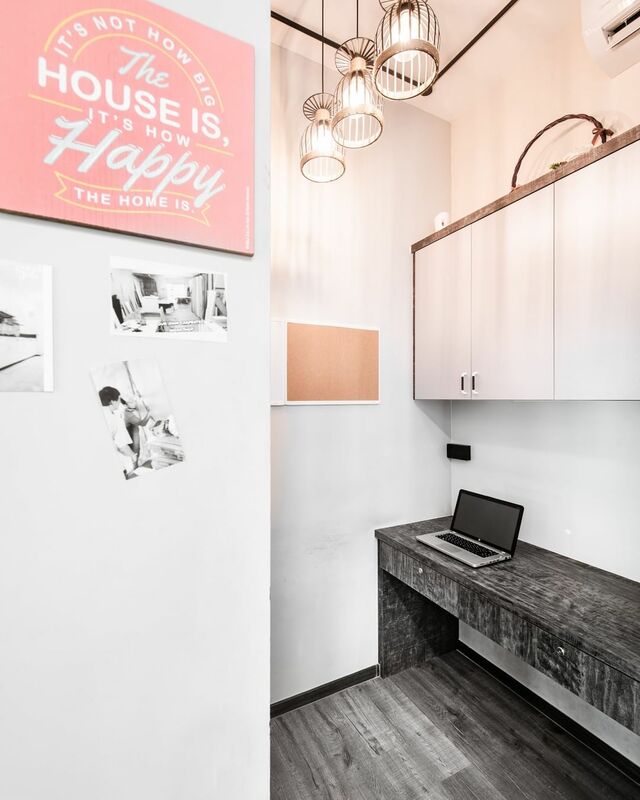 Whatever laminates you have your mind on, let’s make your work space a place to embrace ideas, one where you know you belong to accomplish bigger things.